When we were building a new house 4 years ago, part of the structure require engineered structural beams, also known as LDL beams. 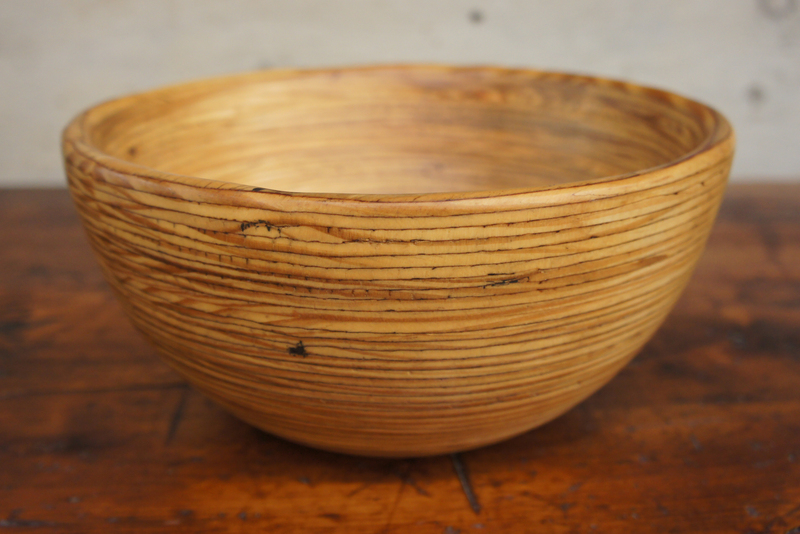 Steve admired the beams beauty and decided to try making a bowl from one of the pieces that was cut off. (Steve has a very hard time throwing something away that he could use. He's an extreme recycler.) It wasn't easy but he managed to accomplish another work of art! This piece is currently located in Attleboro, 20 John Williams Street. OPEN Saturdays 10 am to 3 pm until April 27th because the building has been sold and we must move out.